Covered in tiny delicate beaded flowers, these clip-on earrings by Sachin & Babi Accessories compliment off-the-shoulder rompers and dresses, making them a staple summer accessory. 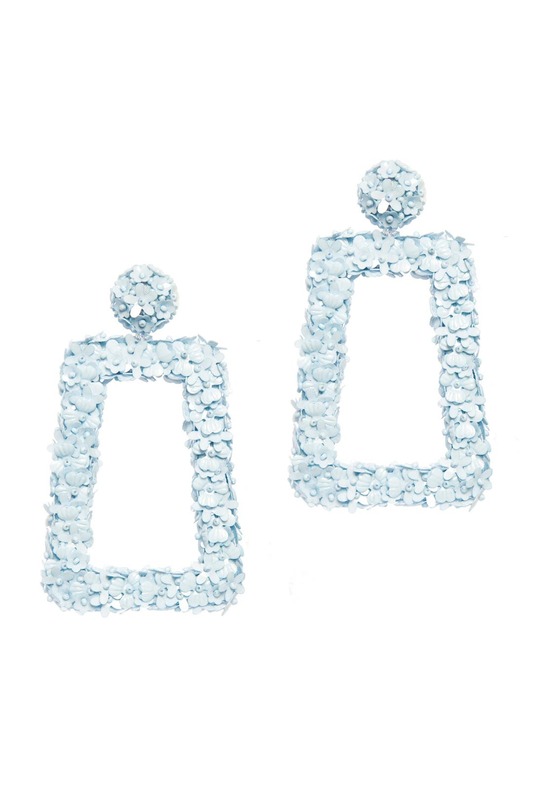 Powder blue large square hoop earrings with bead and sequin accents. Clip backs with comfort pads. 4" long.